Well-designed, air-conditioned and separate computer labs for kids and older children, managed by the well-educated and pualified faculty, with one-on-one access. There is one computer for each child. The students learn through PowerPoint presentations and innovative software. We have invested in new ERP software which would further raiseteaching-learning-working at AVP to contemporary technological standards. There are 60 computers in our labs currently. They are state-of-the-art with multimedia, most of them with LCD monitors that are easier for the eyes, generate less heat and consume less power thereby keeping the classroom atmosphere comfortable for children. We use our own LAN with Windows XP for teaching-learning, documentation and presentations. 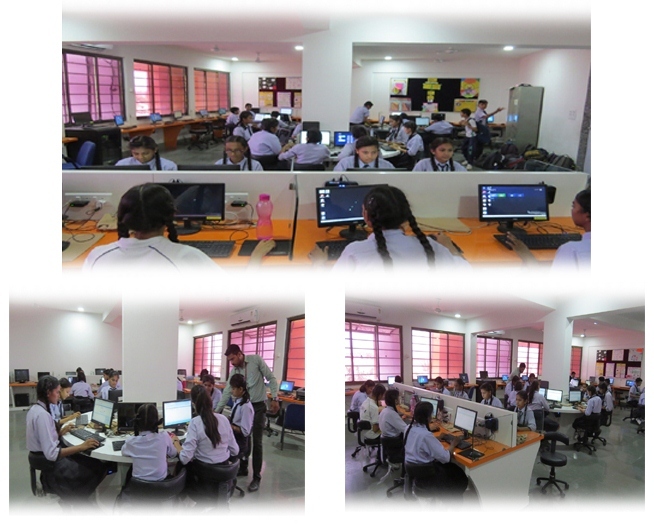 Equipped with the latest hardware and software, our computer laboratories provide an excellent ambience and opportunity to learn and master ICT skills from the basic to the advanced levels.